It started with Wake Me Up.After that was pure musical genius.Rest In Peace EDM God. donde quiera que estes... espero que sigas haciendo musica. I went and saw him play and I was at the front and he gave me a thumbs up and a smile. He was such a nice man. His songs were apart of my childhood. They were played at my school discos and his lyrics always held so much meaning to me as I got older. He was remembered from the life he lived, not the money he made. Whenever I felt sad I listened to your songs. Whenever I felt happy I listened to your songs. You are my inspiration and will always be. When i feel low, i used to listen to his song "Wake me up ". Thanks for the amazing song Tim. Hi Tim i love your music, your music inspireret me verry much it gives me hope and maked me believe, that you can do whatever you want if you follow your heart. I loves how your music got People closer together. Im so sad because my BIGGEST WISHES WAS TO SEE YOU PERFOM ON THE STAGE. I hope and pray for your familly have found piece. YOU WERE A LEGEND WILL FOREVER BEING REMEMBERING. YOU WILL ALWAYS BE IN ME HEART. Hi Tim i love your music. Your music inspireret me verry much. I loves how your music got People closer. Your music gives me hope and maked me believes, that you can do whatever you want if you follow your heart. THANKS FOR ALL OF YOUR MUSIC IT WILL FOREVER BEING REMEMBERING. I'M SO SAD BECAUSE ME BIGGEST WISHES WAS TO SEE YOU PERFOM ON THE STAGE, NOW I CAN'T AND IM GONNA REGRET THAT FOREVER. YOU WILL FOREVER BE IN MY HEART AND DEFINTLY REMEMBERED BY ALL. HOPE YOU FOUND PIECE. YOU'RE A LEGEND. Looking up is always the sky. you are in heaven. When I was in junior high, my brother introduced me to Avicii's work. It was the catalyst to my love of Electronic Dance Music. The spark that ignited it all. This music helped me focus on my studies, which led me to become the diligent worker I am today. Truly, he will always be a part of me. I can imagine thousands could say the same. I never will forget the impact he had on my life, especially during the time of my life where I found myself. Thank you, Avicii. Tim, your music shaped EDM for years to come. The sheer passion and love for the art of music expressed through every single one of your songs, be it the big radio hit taking the world by storm, or the lesser known progressive house anthem played at live shows, your music helped us when times were good, and when they were bad. Rest easy Tim, I'm sure everyone up there is being blessed with the chance to see and hear your incredible talent for the rest of eternity. Who knew music could be so touching? Thank you so much Avicii for being one of my first and main introductions to electronic music. You have inspired me so much, and continue to with "Stories". "Trouble is definitely my favorite song of yours, because it's so uplifting. You are the reason I fell in love with EDM, I’ve been listening to your Music for 6 years , I would always make my own sweatshirts of you when I was bored. I bought every album that you released. And when I found out that you left this earth without saying a word my heart was shattered. I hope that you may Rest In Peace Tim. I love you. Thinking of you bro, although I never had the honour of meeting you in person, I miss you like a brother! Avicii, You were too good for this world. You radiated love. You will not be forgotten. The world still needed your music. Ride the stars... "dear" boy and Find the peace you were looking for. Your music has always brought so much joy, hope, and happiness to me when I wasn’t at my best times. Thank you! Man... it's been almost ten months without you. You were and still are a massive inspiration to me, and your music has helped me get through some incredibly tough times. You are so dearly missed, both as a musician and person. Avicii’s song “you make me’ always played in my hangouts with my friends. He came, made great music that brought people together, but left too soon. RIP. I discover avicii, and i felt in love with his music.. so much beautiful melodies, hits, that brought happiness in my life! I'm a musician and he influenced a lot of my songs.. May you rest in peace Tim We love you today and forever, thank you for everything you shared with the world ! 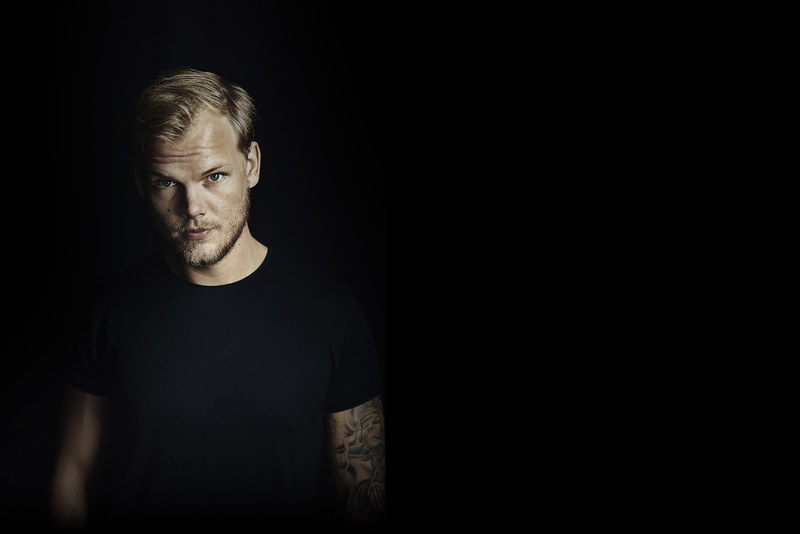 avicii will live forever in our minds and souls. we will a miss you tim. Avicii Forever . legends never die. 항상 the nights 들으면서 울고 웃던 게 생각나요 ㅠㅠㅜㅠ 이제 아프지 말고 그 곳에서 더 더 멋진 삶 살아주세요..
You changed the world. Your works are so amazing. You are one in a billion. Lieber Tim - wo auch immer du nun bist , du kannst mit Stolz auf das zurückblicken , was du in den Herzen der Menschen erreicht hast . Ob als Tim oder Avicii , du wirst nie vergessen sein . Ich wünsche dir , das du für dich deinen Frieden gefunden hast . Without Avicii growing up wouldn’t have been the same. I will never forget him and his music. And one day I’m gonna show it to my children and tell them about this strong young man who made millions of people happy. I’ll always be thankful for your music. Rest in Peace and fly high. love all his musics... brings love, joy, good memories.... angels guide u to light my dear!!! lov!!! It's sad to know you're gone. You will never be forgotten. Your music has helped me in so many ways. Rest in peace brother. It's so painful to listen to your music. I can't listen to your music without tearing up. You saved so many lives but neglected your own. Its painful to know such a beautiful soul like you had to go through so much sadness. You're not alone Tim. We miss you more everyday. Snälla Tim, svara mig!! Varför gjorde du det??? Varför bad du inte om mer hjälp?? Varför lät du dig inte hjälpas?? När kommer du tillbaka?? Vi alla saknar dig sååå😍😍 Kom hem nu!!!! He left very early, I miss him so much I loved the Avicii his melodies enchanted me, even today I listen to his songs and I always cry because it was a shock to me to know of a tragic news, his melodies will always remain in our hearts . Tim is an angel and I hope that wherever you are is a wonderful place I miss you!